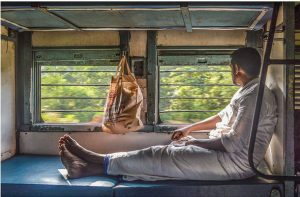 Train travel within South India is not as extensive when compared to the North. 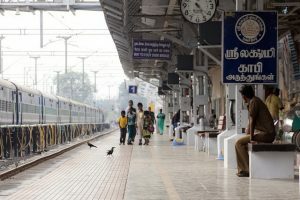 The popular places (for eg in Kerala) are not well connected and most of the times, it is more convenient to hire a car or fly. Having said this, the Konkan railway (Southern railway) is the most scenic and taking a train is well worth the effort. Pros: As it is a day train, the countryside is best explored. You chug through the winding waterfalls, mountains, rice fields and lush greenery. Cons: The train has the most stops and one that takes the longest to reach Goa. The train is for those who enjoy long journeys. There are other trains available on this route too; Konkan Kanya is an overnight train and Jan Shatabdi is the fastest, reaching Goa in 7 hours time. However, as all Shatabdi’s, it has chair car seats so not the most comfortable. Pros: This is the only train to Hampi from Goa. 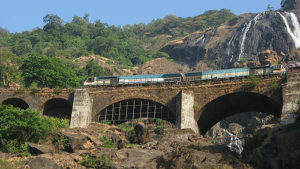 Hoewever, the biggest plus of taking this train is that you pass through the very famous Dudhsagar Falls (Sea of Milk). It one of the most scenic waterfalls and if travelling in the monsoons, a definite must-see. The train halts for about a minute at the Falls. Cons: As the train does not run every day, you have to plan your itinerary according. Return Journey: We suggest avoid the train if going from Hampi to Goa. The train starts from Kolkata and firstly it would definitely be delayed by the time it reaches Hospet and also used and dirty. Alternatives are taking a bus/ renting a car, but please note that the roads on this route are not very good. Pros: It is the most convenient and inexpensive alternative. The train is well-timed. You do not waste a day travelling. Pros: Cheapest way to get to Cochin. There are rarely direct flights on this route. Flights are via Mumbai, Bangalore or Hyderabad. Cons: One of the most-used trains, especially by Indians, hence tickets have to be booked well in advance (two months before departure date) as they get sold out quick. *There are other trains on this route that take less travel time, however, they do not run on all days. Check your travel dates to see if they are available. Pros: Quicker than driving and much cheaper too. 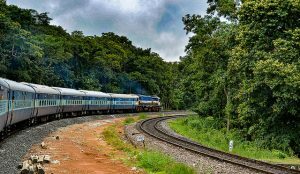 Also if only on a Kerala trip, there are not many instances where one can travel by train so if both these places are part of your itinerary, take a train, just for the experience. 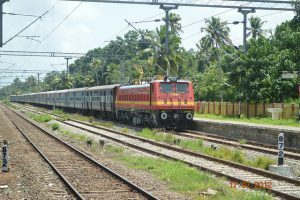 This train starts from Calicut and halts at Cochin (Ernakulam Junction) too. Pros: The fastest train with the fewest halts. You can also fly to Aurangabad, however, flights are either very early in the morning or late evening. Pros: Again the cheapest and most convenient way to get to Pondicherry. Rented car fares in Tamil Nadu are the highest when compared to other regions and taking trains when possible makes it easy on the pocket. 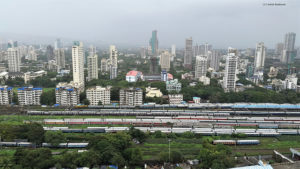 If not delayed, the train takes lesser time than driving.